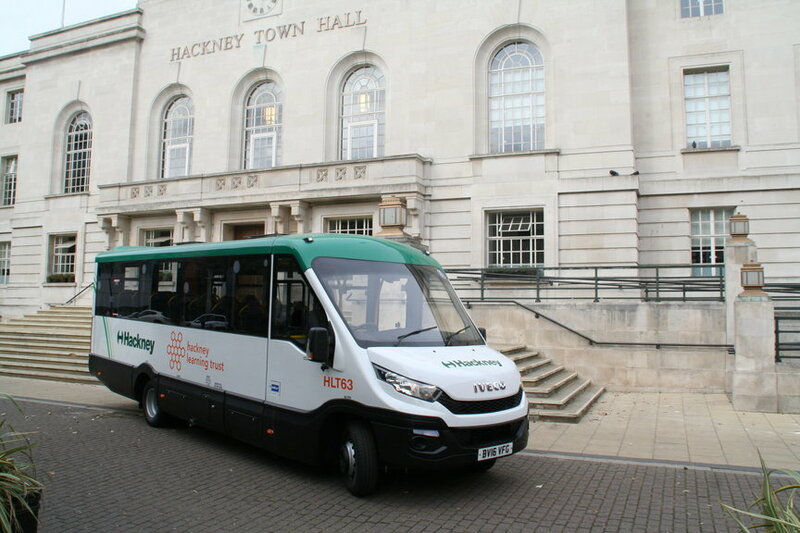 Hackney Council has announced its decision to install the Cyclear® cyclist warning display system from Innovative Safety Systems Ltd (ISS) to a fleet of 22 wheelchair access buses, which are used to transport children with Special Educational Needs (SEN). The Authority is also installing Cyclear® to 24 new refuse collection vehicles due to be delivered from October this year. Hackney has always been committed to finding safer and more sustainable ways of running its fleet and was a major contributor to the development of the Safe Urban Driving initiative, which is now a requirement for the FORS (Fleet Operator Recognition Scheme) and CLOCS (Construction Logistics And Cyclist Safety) standards. Cyclear® helps to protect vulnerable road users by detecting passing cyclists and audibly alerting the driver. The system visually alerts drivers to the presence of cyclists when the left indicator is activated. An audible speaker also sounds to let cyclists and vulnerable road users know when the vehicle is turning left as a second tier warning. This is coupled with an intelligent sensor arrangement that detects cyclists and alerts drivers if they are being undertaken even when the indicator is not in operation. Hackney has also installed the RX3 Hard Disk Camera Recording system from ISS to the vehicles. With a proven track record in reliability the RX3 can accommodate up to 16 cameras and also records vehicle speed, acceleration and GPS positioning. ISS has recently launched a new addition to the ‘Clear’ family – Reaclear (International Patent Pending) - a new revolutionary reversing device aimed at the waste management sector, which has been designed to eliminate accidents caused during reversing manoeuvres.